We offer residents privacy & individuality whilst also providing 24 hour EMI level care. So that you have complete peace of mind and are in the best possible hands. For more information please call us on: 01634 843 588 or come in and have a look around in person. Check back regularly for our news and job vacancy updates on this page. 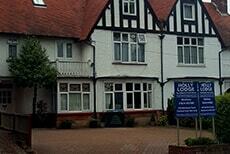 Here you can find out more information about the events and activities at Holly Lodge, as well as employment opportunities at the home. If you or a member of your family is no longer able to live alone, or you feel that you need more support and company in your later years without losing your independence, Holly Lodge in Chatham, Kent could be the perfect place for you. 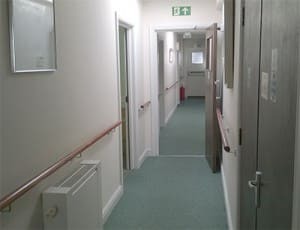 Our care home offers residents privacy and individuality whilst also providing 24 hour EMI level care for the elderly and those with dementia; which we hope offers resident’s families complete peace of mind that you are in the best possible hands. We care for up to 22 residents at a time paying absolute attention to their emotional and physical well being offering a range of indoor and outdoor activities with regular daytrips to ensure that life stays as enjoyable as it has always been. In accordance with our CSCI membership you can look over our Statement of Purpose or Service Users Guide on this website as well as finding some other information about the home and facilities. We hope this website will give you a good idea of our home and welcome you to contact us to arrange a visit at any time.